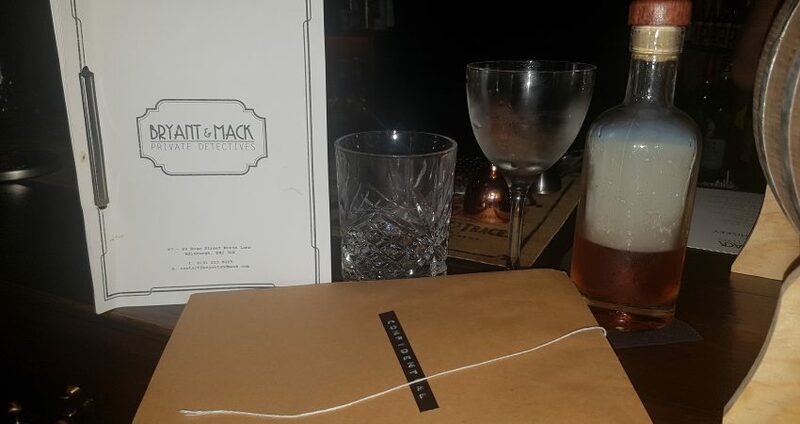 High on my list of bars to visit in Edinburgh was the speakeasy Bryant & Mack. 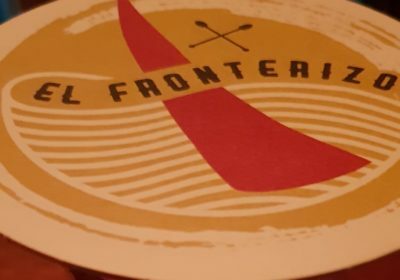 I had heard of it through Tales of the Cocktail (TOTC), the bartending industry’s biggest seminar. Last April, nine months after opening, Bryant & Mack was already one of the official venues of Tales on Tour, TOTC’s annual abroad edition. 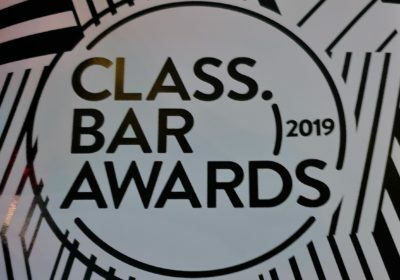 Quite a recognition for a brand new bar! Ross Bryant, one of the two bar owners, even hosted a Dynamic Duo with the brand ambassador for Sazerac Rye. The event drew so many guests that “people were queuing around the block to get in”, as Ross recounted when we talked about Tales. Unless your Google Maps is on or, like me, you see people coming out of the bar, it might be easy to miss Bryant & Mack’s entrance. The only telltale sign is the bar’s name on one of the frosted windows. 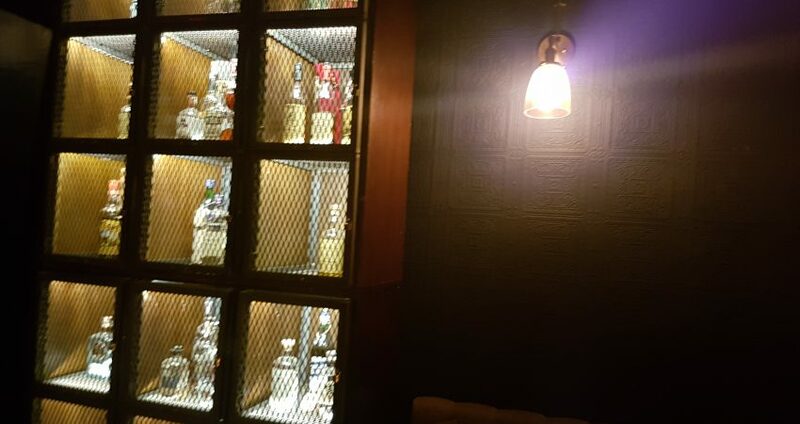 I pushed the two double doors, discovered the bar and immediately fell in love with it. Bryant & Mack is small with only three seats at the bar and tables for around 20 people. The brick and panelled walls, the wooden and metal bottle cabinets and the low lighting and music make it warm, cozy, intimate. All the seats seemed taken so I was a little afraid I’d be turned down. However, as luck had it, the group I’d crossed paths with at the entrance was leaving. Dan, one of the bartenders, found me a seat at the bar where I was in prime position to watch him and Ross preparing cocktails and listen to Ross telling the bar’s story to the couple sitting next to me. 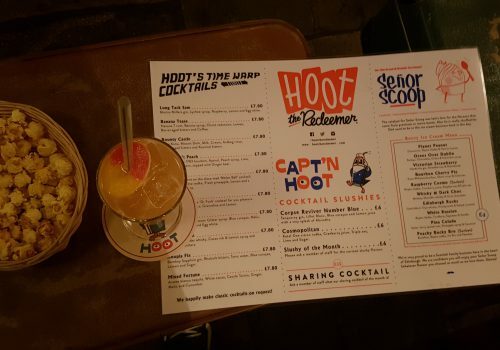 After spending six months in New York, Berlin and Oslo doing some bar research, Ross and his associate Jason Cormack were finally ready to open their own bar in Edinburgh. 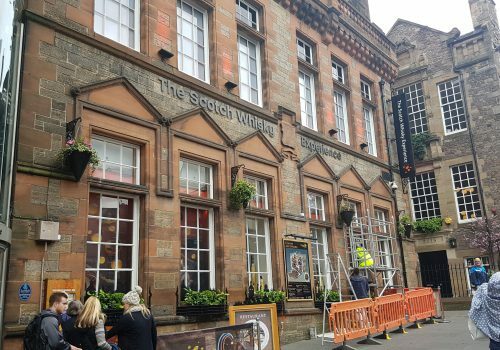 They found a place with a perfect location on Rose Street, one of Edinburgh’s nightlife hubs. They had however a moment of hesitation. 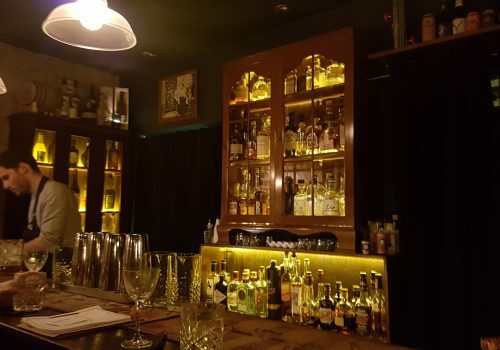 While they loved the location which worked pretty well with their intention of opening a speakeasy, the venue didn’t fit with any of the themes they had in mind because of its small size. One day, Mack was watching Columbo on TV with his girlfriend. And there it was! 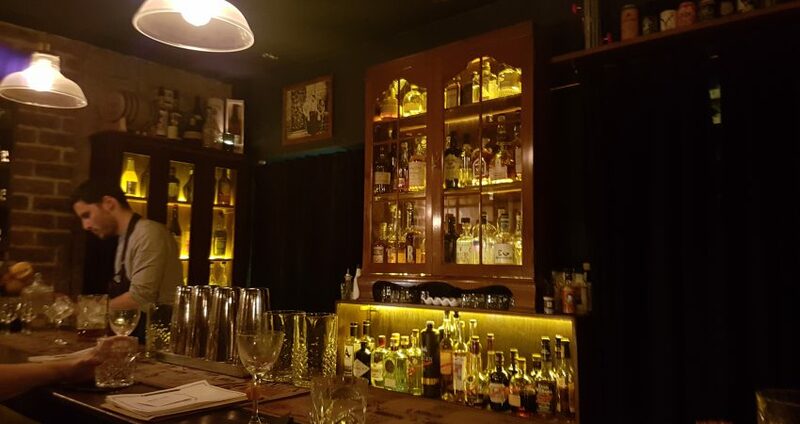 He had found his and Ross’s bar theme: a private detective agency. To name the bar, they decided to simply use their last names as it worked well with the detective concept. 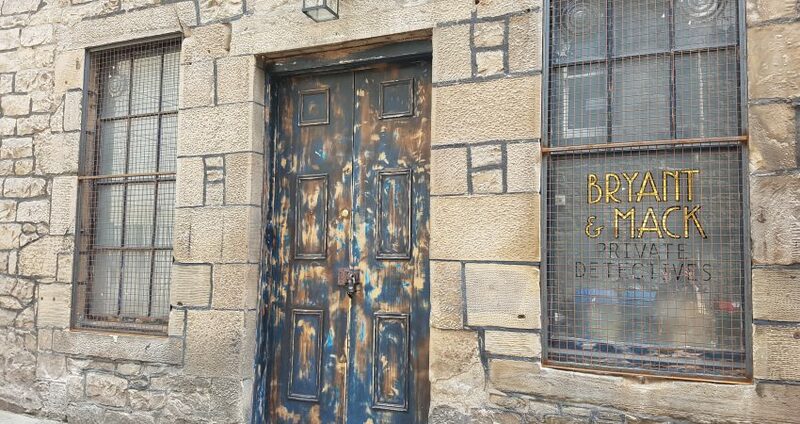 Bryant & Mack Private Detectives opened, or rather solved its first case, on 17 July 2016. Bryant & Mack takes the private detective concept to the letter. The thick paper menu is concealed within a brown kraft button & string envelope marked “Confidential”. The bill is handed inside a tiny kraft paper envelope with the words “Case solved” written on it. Smart, clever and mysterious! 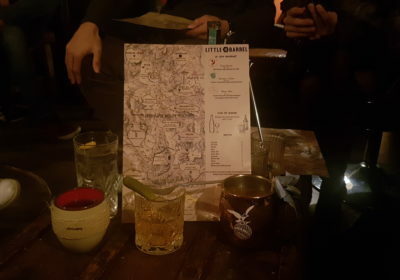 What with the bar being “Tales approved” I had quite some high expectations with regards to the drinks. Believe me: they didn’t disappoint! Bryant & Mack’s cocktails were by far some of the best cocktails I’ve ever had. I first ordered a Day Trip to Rothes, a delicious sweet and mellow combination of Glenrothes Sherry Cask Whisky, Amer Picon, Beetroot and Rosemary Caramel and Black Pepper Bitters. After such a great drink, I was eager to try something else on the menu but couldn’t make up my mind about which cocktail to try next. All the cocktails listed were appealing. I asked Dan for some advice. 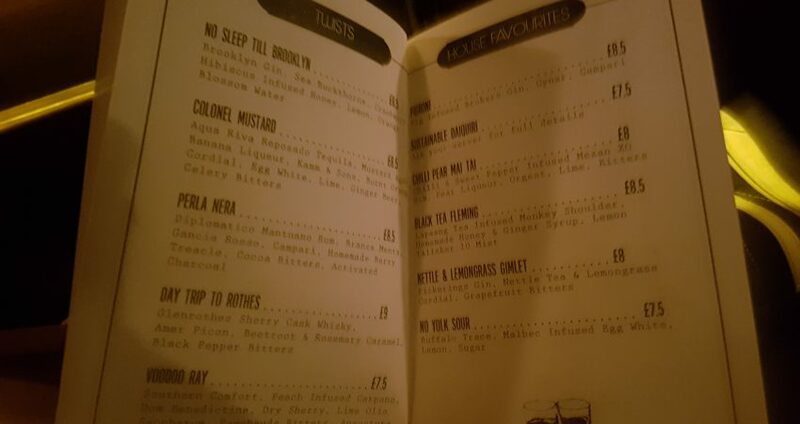 When he said the Voodoo Ray was a twist on my all time favourite, the Vieux Carré, I was sold and ordered it. And what an amazing drink it was! Nearly two months after drinking it, I’m still dreaming of this cocktail and I’m contemplating returning to Edinburgh to enjoy it again (and visit my friends too of course!) It really was that good, better than good actually. The Voodoo Ray is made of Southern Comfort, Peach infused Carpano, DOM Benedictine, Dry Sherry, Lime Olio Saccharum, Peychaud Bitters, Angostura Bitters and Salz . It is smoked and served inside a bottle with a chilled glass on the side. First points for presentation. At Ross’s suggestion, I took a first sip of the cocktail immediately to decide if I wanted to let it get more smokey or not. I love my smokey drinks so, of course, I let it infuse. 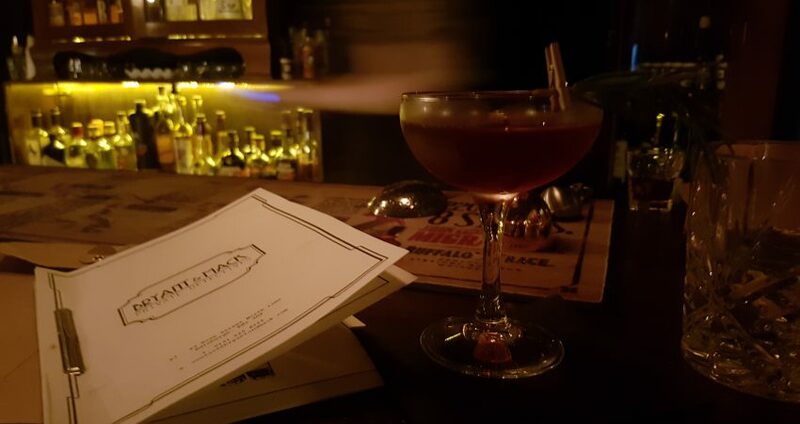 The effect was fantastic: the cocktail’s taste evolved, getting smokier, each time I poured myself a new glass. An evolving drink, pretty cool, right? For my last drink of the night, Dan made me a smokey twist on the Negroni which will maybe appear on Bryant & Mack’s forthcoming menu. It mixed mezcal, Cynar and coffee liqueur Borghetti. 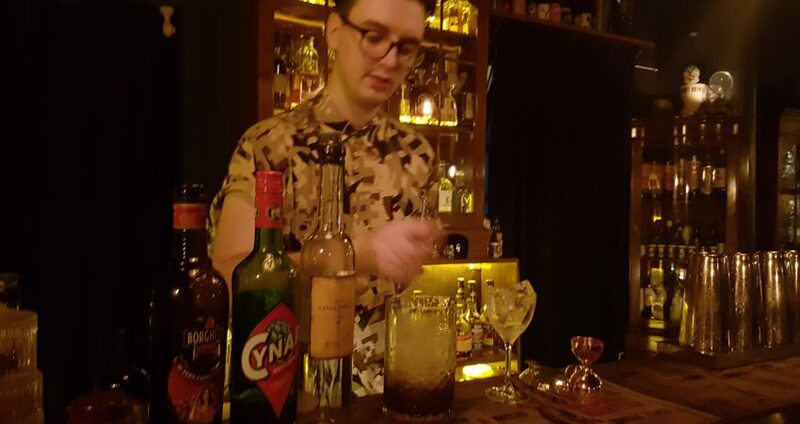 I loved the smokiness and was surprised to enjoy the very light bitter aftertaste of the Cynar. A really nice discovery! Bryant & Mack was by far the bar I preferred in Edinburgh and one of my favourites globally. 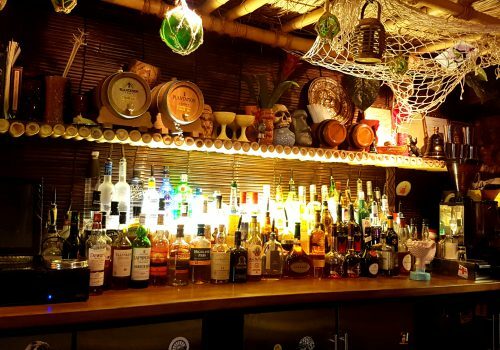 Simply put, it is one of those bars where you feel at home. Well now, when’s the next flight to Edinburgh?